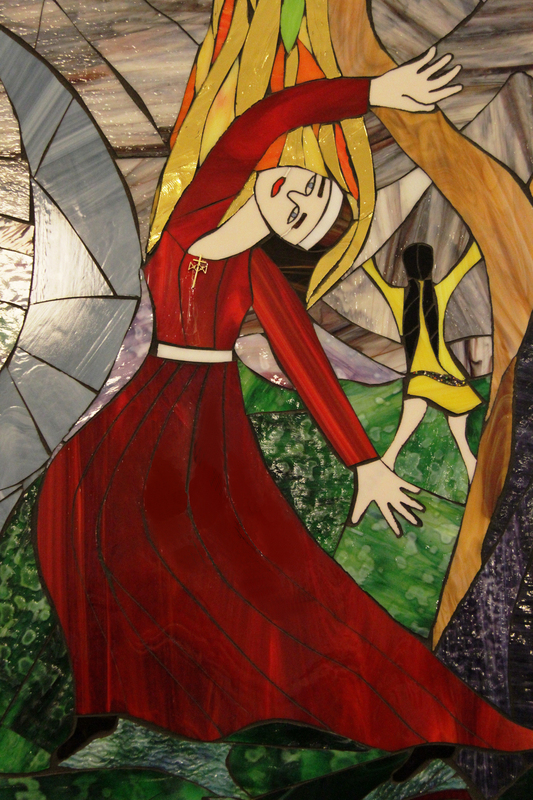 Irene McCormack Catholic College is a vibrant Catholic community with a focus on serving others and justice for all. Sending your children to Irene McCormack Catholic College will give them a rich and exciting education. Our co-educational College provides quality Catholic education for students from Year 7-12, delivering a varied curriculum and achieving consistent high results for university and VET qualifications. The primary focus of our school is to enable our students to learn and realise their potential to become fully contributing members of the local and global community when they graduate from the College. We recognise the outstanding contribution of our teachers to achieve this goal, whether it be in the class situation, extra-curricular programs or the casual conversations with students that take place each day. Our College continues to strive to provide increased opportunities and level of care for the development of our students. For this to happen all members of the community share in the vision and selflessly contribute to the College. The success of the College stems from its true sense of community where each individual feels supported, cared for and celebrated. Each Year Group is lead by a Dean of Year, with Care Group Teachers having the responsibility for one group of students entering Year 7 through to graduation in Year 12. Students are also able to enjoy a broad spectrum of extra-curricular opportunities. The College has a proud sporting history offering challenging and varied sporting programs including Australian Rules Football and Soccer Academies for both boys and girls, and boasts an outstanding Outdoor Education Program. Our Performing and Visual Arts program, consistently wins awards. An excellent Graphic Design course is also available, as well as Building and Construction, with vocational education training and structured workplace learning options. Travel is another option for students, with previous study tours including Ningaloo Reef, Ski trips, Sydney, Canberra, Japan, China and Germany. The College offers a number of annual Scholarships and Bursaries to qualifying students. I extend my gratitude to all members of the College staff, all students and their family members for their excellent commitment, through personal effort and in working partnership, to enable our College to be an outstanding Catholic learning community. Irene McCormack grew up as a fairly typical West Australian country girl. Born on the 21st of August 1938 she was raised on a farm at Trayning near New Norcia and very early on emerged as a vibrant, determined and fun-loving girl. She was sent to boarding school at Santa Maria College and it soon became evident that she had two great loves - to serve God and to educate young people. After joining the Sisters of St. Joseph she spent many years teaching in schools in country areas. She constantly challenged the Bishops to act more justly in providing resources for country children - for her it was an issue of justice. In the mid-1980's, Irene experienced a real dilemma with her vocation. She continually proclaimed about mission in the Church - to be an active part of the Global church - and felt she had to volunteer to work with the most needy in order to be true to herself. Irene arrived in Peru in 1987 and was appointed to the Huasahuasi District in 1989. She took up the challenge of ministering to the impoverished. "I have come to understand that effective action is a way of loving." For political reasons Communist rebels, the Shining Path, did not welcome missionaries and despite recognising the danger Irene and her fellow sisters continued to work with and for the village people. "I really believe and have experienced that the more committed you are the freer you are." On the 21st of May 1991 Irene's fears were realised when she and five others were dragged to the village square by the rebels, told to lie face down and executed by a shot to the back of the head. Irene's 'crime' in the eyes of her murderers was caring for, working with and handing out Caritas food parcels to the impoverished villagers. The crest uses the hands to signify prayer, nurturance and labour. The rising sun portrays birth, hope, light and growth. The stars form the shape of the crucifix, reminding us of Jesus’ sacrifice, and also mark the guiding light of the Southern Cross. Irene McCormack Catholic College was established in 2000 by the Catholic Education Commission of Western Australia in response to an increased demand for Catholic education in the rapidly growing north western corridor of Perth, Western Australia. The College is owned by the Archbishop of Perth who, together with the other WA Bishops authorised the Catholic Education Commission lead Catholic schools as a means through which the Church proclaims the Gospel of Jesus and to support parents as the first educators of their children. 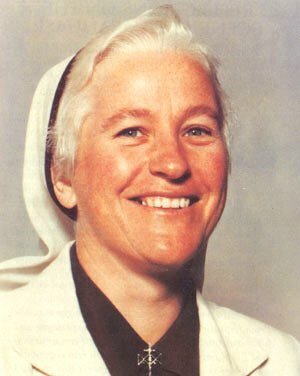 The College was named in honour of Sr Irene McCormack. The College started with 30 students in 2002, in small, temporary premises close to the planned school site on Bradman Drive, Butler. As the suburb of Butler and surrounds continued to develop, the College has grown in 2017 to student enrolment of almost 1,000 students, with 100 staff. The College motto ‘Prayer Service Justice’ is strongly exemplified in the person and life of our patron, Sr. Irene McCormack. To liberate young people to become life-long learners and to live meaningful, selfless and spiritual lives. We recognise each person as a unique creation of God and nurture students to live the Gospel values. Our College provides a holistic learning environment where each student feels safe, valued and learns respect for self, care for others and skills for life. The essential consideration of all we do at Irene McCormack College is the dignity of the individual. - Explore, recognise and share their strengths and talents. - Arrive at an appreciation of their own uniqueness. - Develop confidence and a resilience to embrace the challenges in life. - Pastoral Care program that supports each students’ personal and educational development. - Christian Service Learning program which enables each student to experience the value of service to others. - Leadership opportunities to serve others by College representation, Parish participation, peer-support mentoring, tutoring, mediation and public relations. - Develop their own relationship with Jesus and sense of faith practice. - Seek social interaction and accept social responsibility. - Appreciate creation and value environmental sustainability. - Develop a sense of connection to family, friends, society and the global community. - Be energetic and enterprising learners who become inquisitive, independent and collaborative learners. - Access technology as a productive tool to seek and utilise knowledge.